In a sparkling Turquoise river winding through Marsh Green field with cattails a Brown whitetail deer dips his head for a drink. 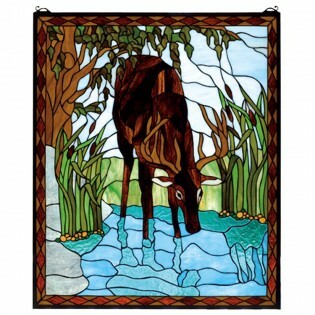 This picturesque scene is handcrafted of a beautiful selection of stained art glass. 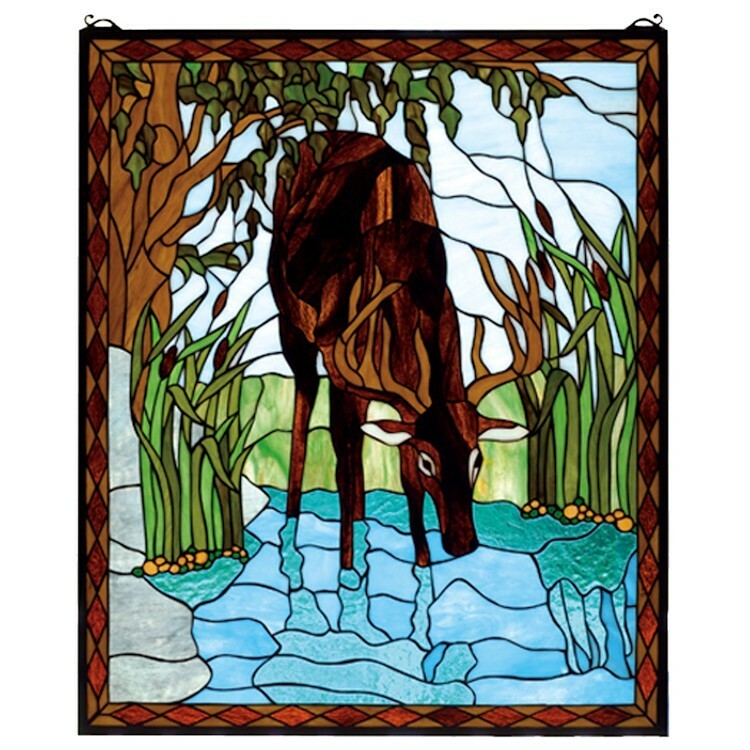 The original design Summer Deer Stained Glass Window is framed in a rustic Bark and Leather Brown diamond border.